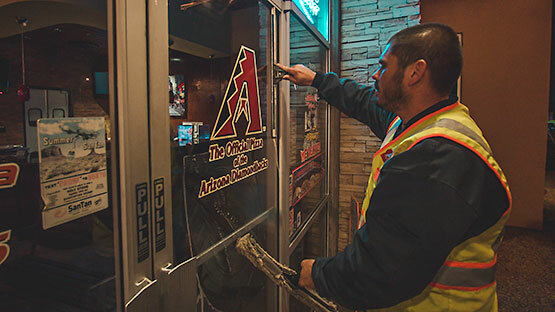 We clean both interior and exterior windows for commercial plazas, shopping centers, and buildings in the Phoenix metro area. AZ Lot Sweeping is an all exterior maintenance company. 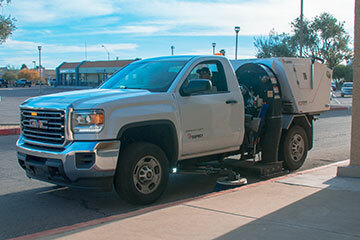 Not only do we sweep parking lots, we clean commercial windows in Phoenix. Our window cleaning staff uses squeegee cleaning techniques that leave windows spot and streak free. We are capable of cleaning windows up to 3 stories high from the ground safely. Our staff cleans windows, panes, seals, and screens. We remove dirt from window panes and wipe down the fronts of the panes to keep them clean. 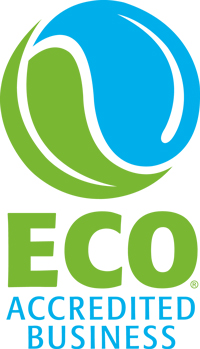 Do you need your commercial properties window cleaned? 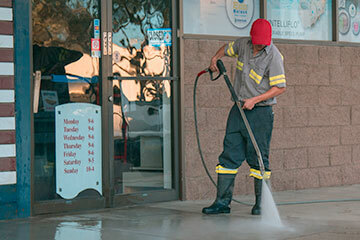 Call AZ Lot Sweeping for professional commercial window cleaning in the Phoenix metro area! We keep your windows clean so your can clearly view the Arizona sunset after a long days work. Call today for a free window cleaning quote: 602-492-9435.